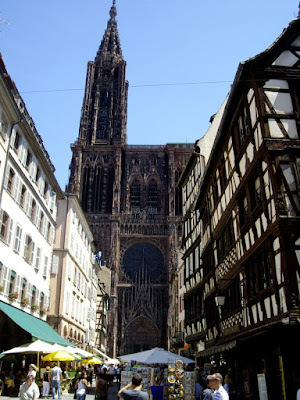 When approaching Strasbourg you cannot fail to see the mighty Strasbourg cathedral, with its impressive tower. 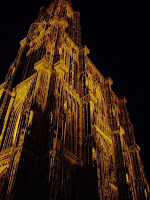 It was the tallest building in the world from 1647 to 1874, and the world tallest church building until 1880. Today there are only three churches that are taller than this impressive building. The church is standing on historic ground. On the site there have been buildings from Roman times and a small temple dedicated to Virgin Mary was built here in the 7th century. 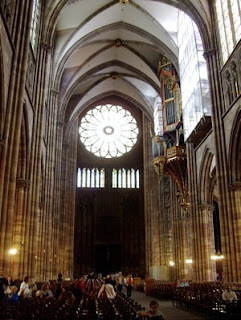 Under the reign of Charlemagne another larger church was completed in the late 8th century. This building fell into decay and the last remains burnt down in 1176. The building of the current church was started immediately and lasted for around 260 years. The first phase of the work was done in Romanesque style. 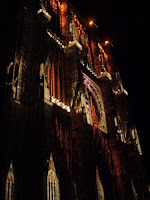 From 1225 the style of the building turned Gothic, as many other beautiful churches in Europe. Using pink sandstone from the Vosges region, the builders created a building of great architectural beauty. Enormous, mighty, and at the same time so ornate that the facades look like lace. 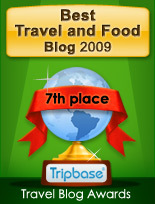 Full of beautiful details to discover and explore. As the enemy at the spears end found along side the main entrance of the church. And the door is beautiful in all its detail. So extremely ornate, and full of symbols, whose meaning are lost in time. As these buildings are not merely buildings. They are monuments reflecting a rich religious reality full av folklore, ideas, symbols, and drama are carved out of stone. Much of this folklore is now impossible to interpret or understand. 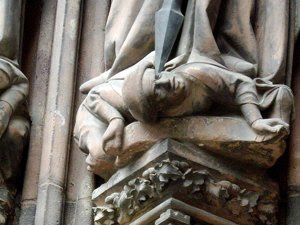 In this way Notre Dame de Strasbourg is a building and a riddle. 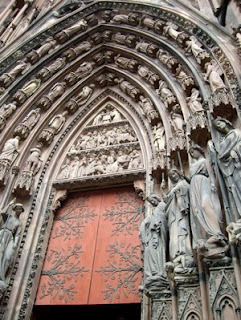 If you look carefully on the photography of the main entrance, you can see that all the saints are standing on their enemies. Here Christianity is the winner and there are punishment for its enemies, both in this world and in the worlds to come. As you enter the church you are surprised how gracious the tall nave is standing. The upper roof of the nave is painted white, thus reflecting all the light outside. The church has a number of beautifully coloured glass windows, sending blue, yellow and green rays into the old church room. I will later return to the beautiful astronomical clock that was constructed in the mid to late 16th century. There are also a great number of beautiful art works in the church. 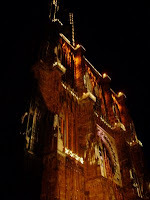 As we sat in front of the church during the evenings we discovered that there was a show, where light illuminated different parts of the main facade of the church. 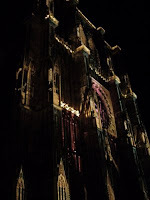 Here I will show a few of the beautiful picture I took during the magic illumination.